Vantage climbers and the WCC have raised over $34,000 for a toilet at the cliff. This area has seen disrepair and other problems in the past a this popular area causing the park to remove the old toilet. The Washington Climbers Coalition has raised the above sum and needs $50,000 by late spring 2013 to complete the project. Why pay $50,000 for a toilet? 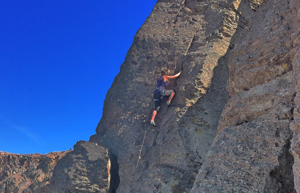 A lot of reasons that may not be obvious from climbers visiting. The area is located in the middle of the desert, this can cause many problems, one being no place for climbers to comfortably use a facility and without said toilet be visible for miles. The desert environment is also subject to serious environmental impacts. The nearby Gorge concert venue also attracts high impact at this area further increasing for the need for a long-term solution. Vantage is a amazing climbing destination. If you would like to help this cause visit the Washington Climbers Coalition website.